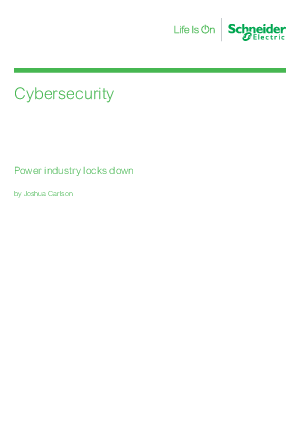 Power industries - including Nuclear, Fossil, Hydro, Wind and Geothermal - are susceptible to a variety of cyber threats which can wreak havoc on control systems. Management, engineering and IT must commit to a comprehensive approach that encompasses threat prevention, detection and elimination. Following the procedures outlined in this paper will not guarantee immunity from cyber attack, but will ensure that the risk has been managed as strategically and cost-effectively as possible.